What is a project milestone at all? Though I'm sure that you all know what a milestone is there will be no harm in briefly summing up the key characteristics. In short, milestones are a very well suited tool for tracking projects. Many of our partners couldn't do without milestones and since NAV doesn't offer them, they created suiting data fields of their own in the table Job Task 1001. So what could be more obvious than to visualize these milestones also in the VJS and hence the partner can now modify the data interface to activate the usage of milestones on Job Task level. Please note that the milestones in the VJS are currently only representing the start and end of a Job Task to mark whether the Job Task is currently violating either the start or end milestone. By the way, you need not always define a pair of milestones, you could also specify only the start milestone for some Job Tasks, and both or only the end milestone for others. The milestones are put into action in code unit 5416100 NETRONIC VJS Management where we have already prepared for you some lines of code. Supposing that you have already created the needed fields, you only have to uncomment the according code lines. Tip: We have put the strings '&&' at the beginning of the passage in question for quickly finding it. Webinar about the new features of the VJS. 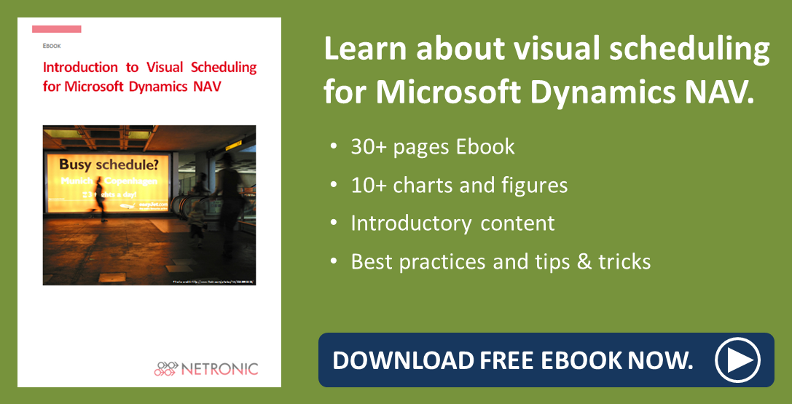 Want to know how to best prepare for presenting the NETRONIC Visual Scheduling Suite?